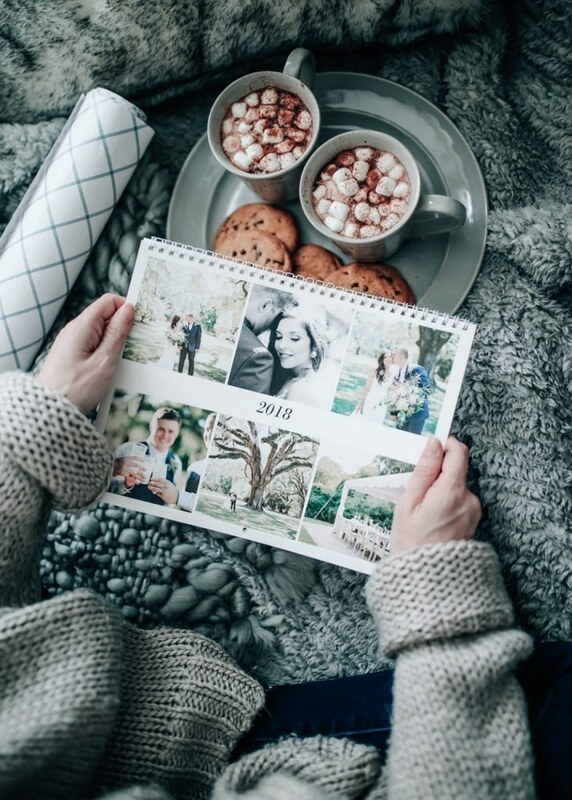 Pictures of grandchildren are always a winning gift, according to Tabitha Lane. 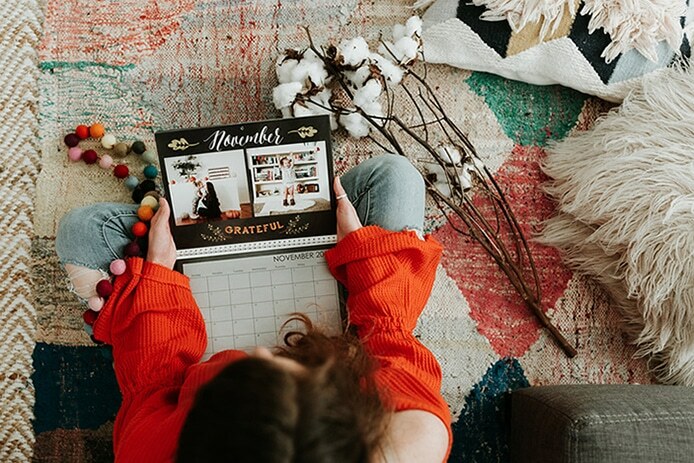 She created a calendar for her parents using the Folk Floral design. 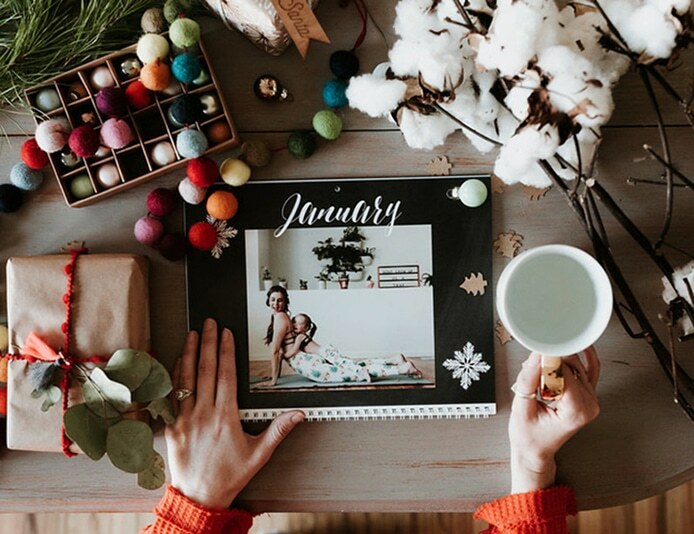 We love how the coral, sage, and lemongrass colours border the photo of her kiddo. 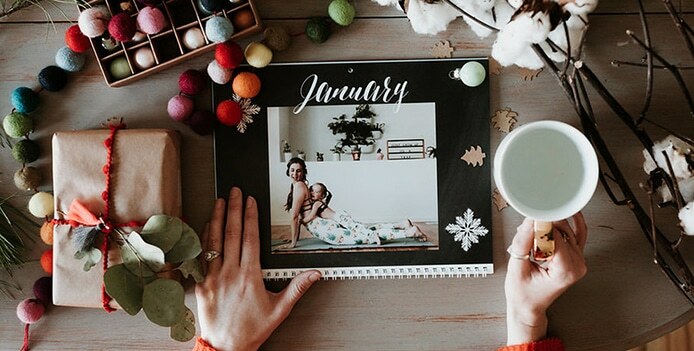 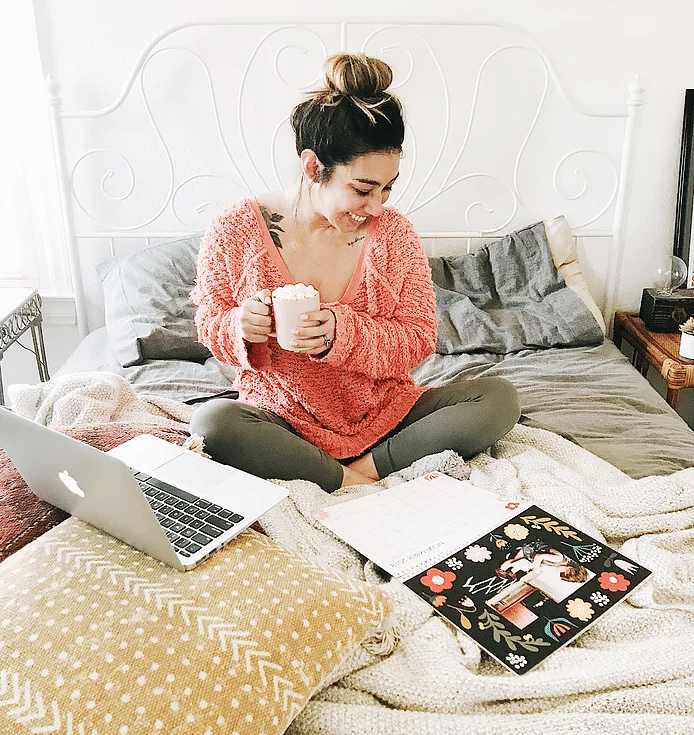 We’re excited to debut new calendar creation upgrades since last year—photo borders make your pics pop, the background designs now extend to the bottom grid, and adding a photo to personalise a special date is easier than ever. 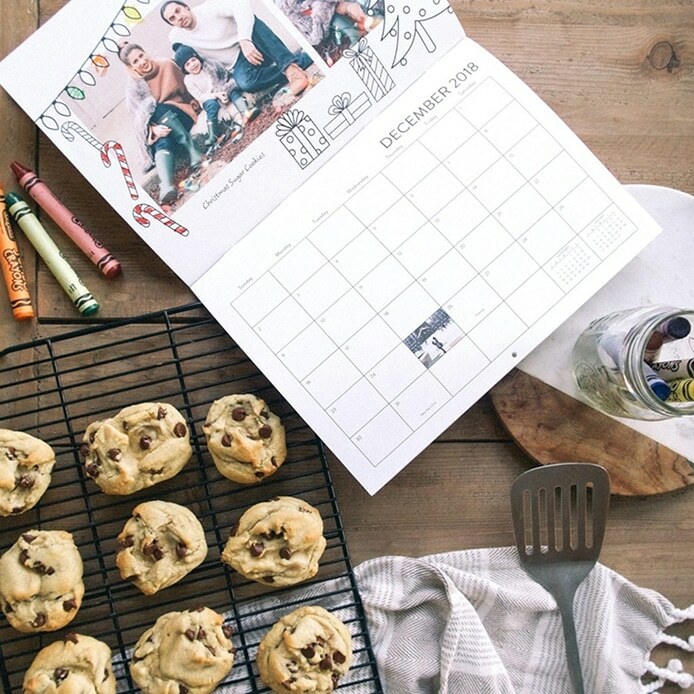 Tagged as Christmas calendars, Photo calendars.